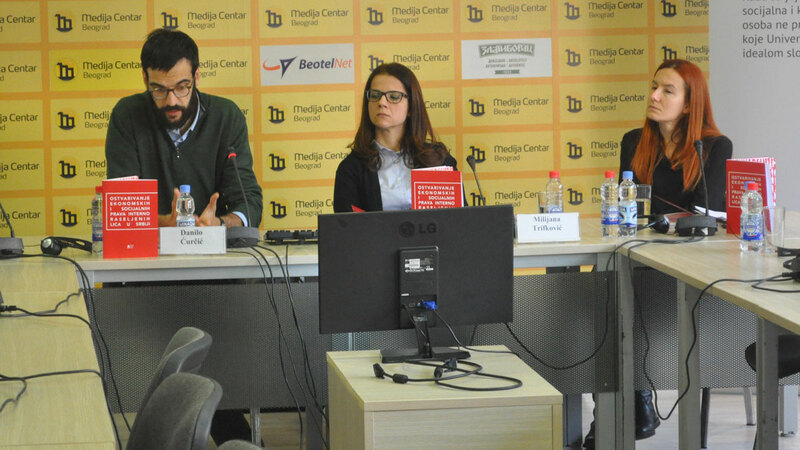 At the end of the December, A 11 – Initiative for Economic and Social Rights presented the report that was result of a project “Local integration of Internally displaced persons in Serbia” that was conducted with support of UN Refugee Agency (UNHCR) . The report “Realisation of Economic and Social Rights for Internally Displaced Persons in Serbia” shows main obstacles internally displaced persons face in exercising economic and social rights that are necessary for their local integration. Those obstacles refer to registration of permanent residence and access to personal documents as a prerequisite to exercise economic and social rights, as well as access to health and social protection and exercising the right to adequate housing. The analysis of available data, public policies and action plans for their application, as well as analysis of application of regulation shows that problems internally displaced persons face in exercising economic and social rights are still not resolved. In that regard, especially vulnerable are internally displaced Roma who, most often, do not have means to approach basic human rights that would enable local integration in areas they live in. In relation, the report accentuates main recommendations for promotion of local integration of internally displaced persons in Serbia.